The Rise Dining Table is a poise piece of furniture, which is sure to reflect bright against your well embellished adobe. 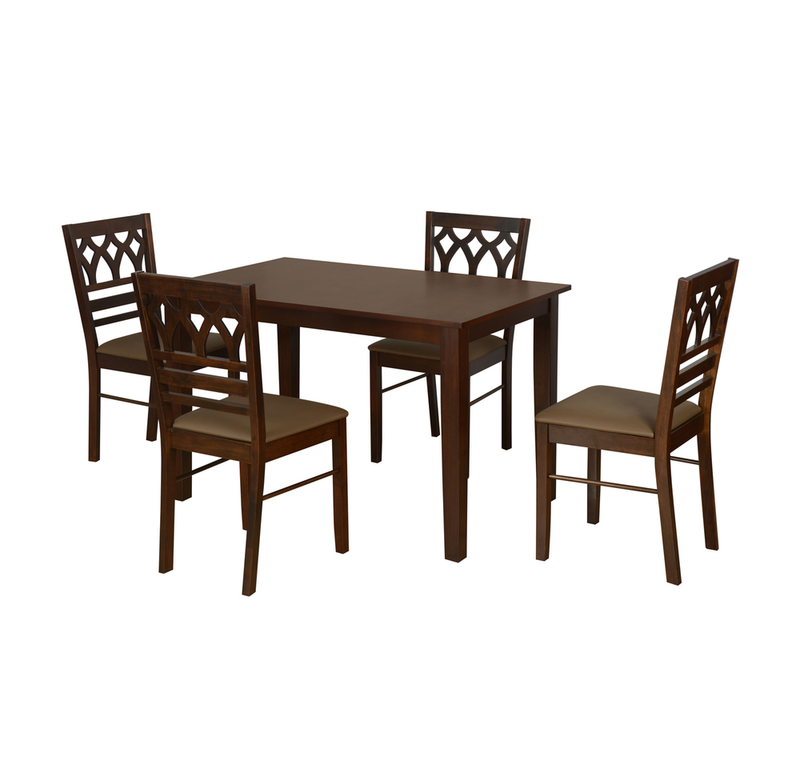 The dining table is big enough to easily accommodate four people at once, with enough place to place the food items. The four evenly shaped legs of the table make the frame a firm and sturdy one, also making maintenance an easy task. Deck up the finished Rise Dining Table with some scented candles and rose petals, making up for a relaxing and romantic dinner date with your spouse. Fabric Upholstery Chair provides comfort while seating.Contemporary design dining set in Solid Wood that durability.